Soldier hero, ice dancing star, crime fighter – and sheer inspiration to all of us. Bravo! The true story of one man’s heroism in the face of incredible danger. 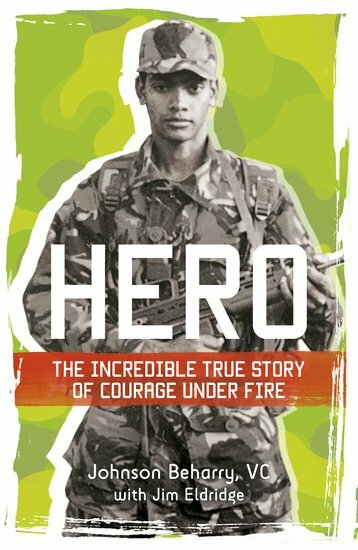 Johnson Beharry has lived more in 35 years than most of us ever will. Serving in Iraq, he became the youngest person ever to receive the Victoria Cross, after rescuing his wounded comrades under heavy fire. Twice. He’s served in Kosovo, Northern Ireland and Iraq. He runs his own charity – the JBVC Foundation – which steers young people away from gangs and crime. He’s survived a severe brain injury caused by a grenade. Just to top it off, his nifty footwork got him to the semi-finals of Dancing on Ice. How does he do it all? Find out.